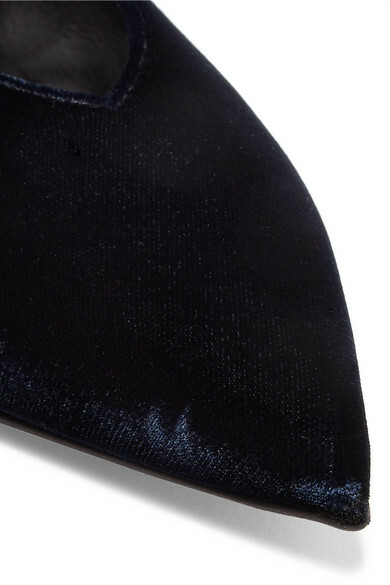 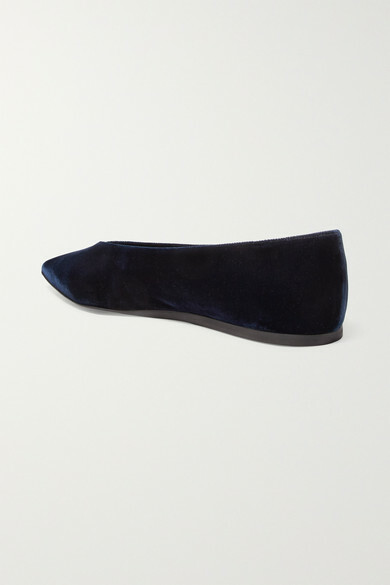 Stella McCartney's flats have been made in Italy from plush midnight-blue velvet. 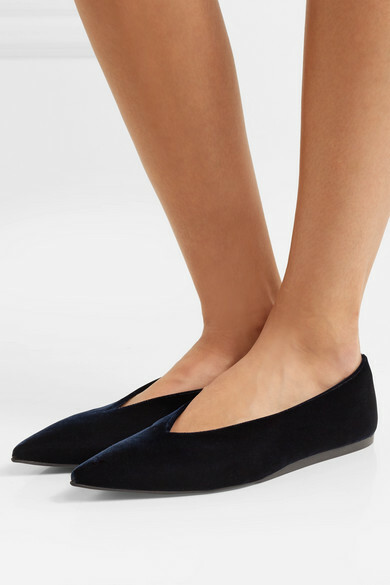 Smart enough for the office, they have a streamlined pointed toe and V-shaped vamp. 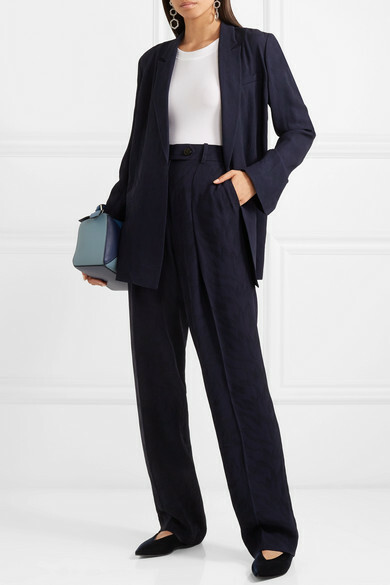 Shown here with: Victoria, Victoria Beckham Blazer, Victoria, Victoria Beckham Pants, Loewe Shoulder bag, Wolford Bodysuit, Isabel Marant Earrings.